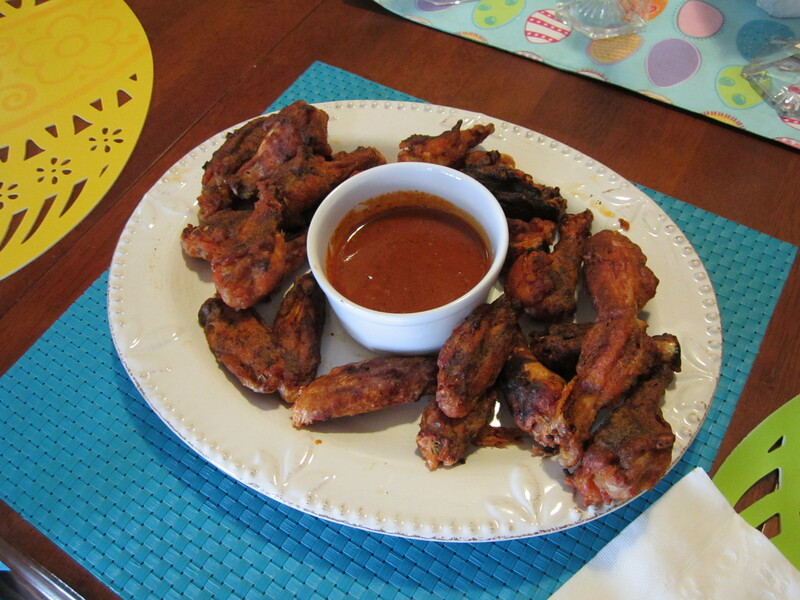 Easter Sunday finds our extended family outside hunting for eggs and working up an appetite, so I figured it was a perfect time to try out a new recipe, Grilled Chicken Wings. Since I was doing the wings prep while my photographer was doing the egg-hunt prep, I was left to my own devices, picture-taking-wise. That’s why there aren’t any interesting action shots here. 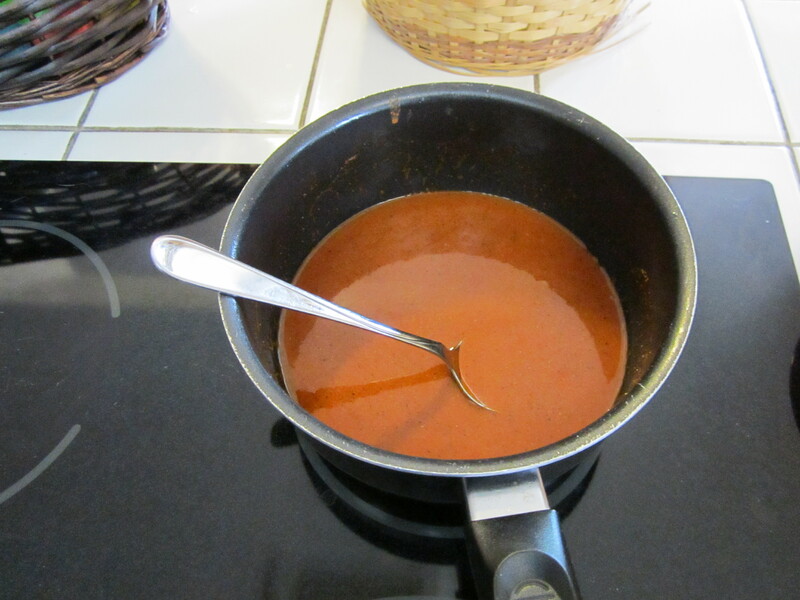 The sauce was surprisingly easy to make and a giant hit with the family. The original recipe is pretty cavalier about the prime ingredient, the hot sauce. “12 Tbsp hot sauce” kind of feels like they don’t really care what kind you use, like it doesn’t make any difference. I used Cholula, a favorite condiment at many local Mexican restaurants. It supplied plenty of spice without over-powering everything else. Chicken prep was easy, but messy. I used poultry shears to separate the wing into three parts as shown in the recipe and reserved the tips for later use (making stock). 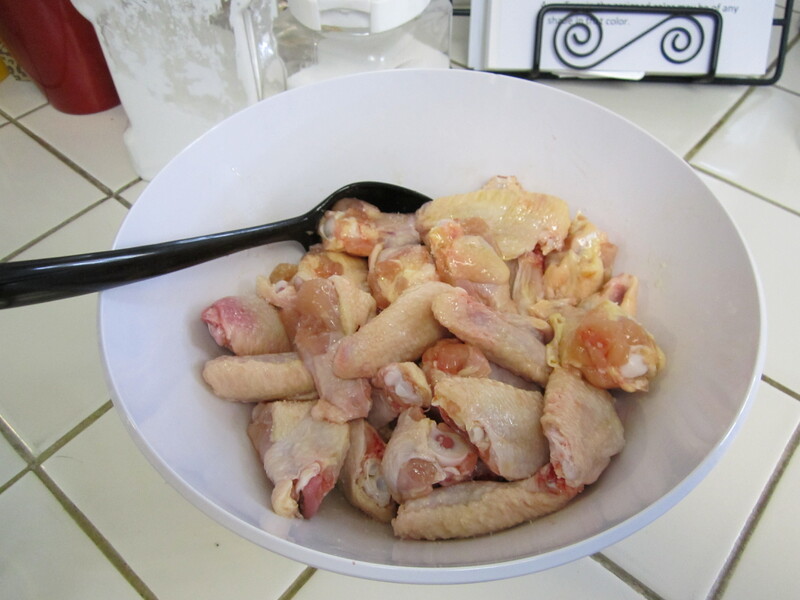 The picture above is what remains from processing about 5 pounds of wings. Drizzle a couple tablespoons of olive oil over this and stir so all the pieces are dressed with oil. Sprinkle two tablespoons of salt over it all and let the wings rest while the grill heats. Grilling these was very easy. Set the grill to low and place the wings on the grill, cover and cook for about 20 minutes. Turn the wings and baste with the sauce, cook for about 20 minutes. Turn the wings again and baste with sauce, repeat one more time after 15 minutes, or until the wings are done to your taste. 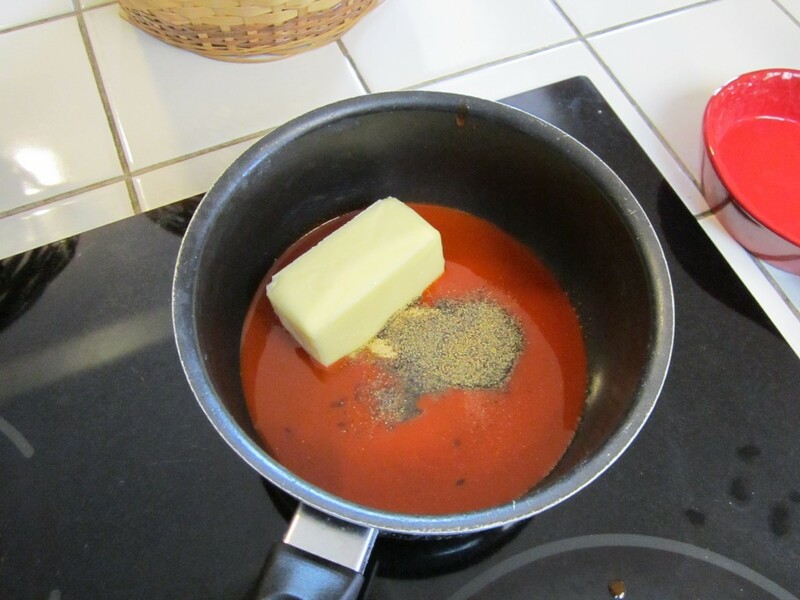 Plate and serve immediately with the remaining sauce. Rating: Judging by the fact that every single wing was eaten, and the remaining sauce was used with other, non-wing items on the menu by the audience, this gets a solid 5 out of 5 glasses of cervesa. Next time I make this, I’m going to add some honey to the sauce to see if I can get a little bit of sweet going on with the spicey. This entry was posted in 5 Wine Glasses, Appetizer, Dinner, Poultry. Bookmark the permalink.